Looking for a fun way to spend more time with the people in your life? Like a healthy activity designed with families in mind? Who’s ready to join me for an all new concept to get your family involved in wellness?! 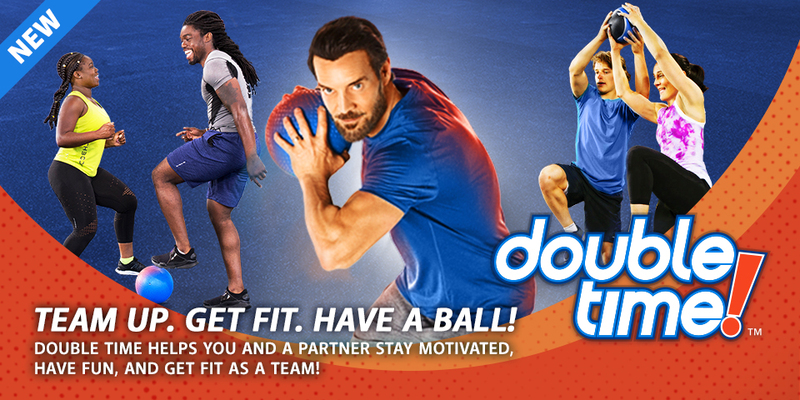 Double Time is Tony Horton’s very first fitness program that makes living a healthier lifestyle something you can do with another person. You and your spouse or a friend (or one of your own kids) will take on daily partner workouts and healthy eating for 30 days. Just having that person around is going to give you the motivation to complete the entire program — and help you build stronger bonds along the way! First ever DOUBLE TIME full family program! What: 30 days of total-body workouts (all 35 minutes or less) that feel more like play and less like work! How: You can start the program anytime with access to Beachbody on Demand! Not a member? CLICK HERE! Who: Anyone at any fitness level (ages 8 and up) can do Double Time – you just need a partner! Why: Because we’re better together! Put down the screens, lace up your shoes and have fun getting fit! My son and I have so much fun doing this together. We giggle through the whole thing and time absolutely FLIES! He gets to check off his workout calendar each day for his exercise and nutrition goals. Once completed, he’ll send it in and receive a free t-shirt! He’s very motivated to reach his goals! And since HE wants to do it, he motivates me to do it too! It’s a WIN WIN! What Comes With Double Time? *Existing BOD members can purchase the Beachbody Buddy Ball on Teambeachbody.com. Take a peek here for an inside look! Accelerate your results with Shakeology and/or Daily Sunshine! Get everything you need for you and your partner to be successful with the All Access Beacbody on Demand Challenge Pack! Save over $100 when you bundle it all together!